Attorneys arguing on behalf of the Education Department have called things like retirement account contributions & cell phone plans as luxury expenses. (Bloomberg) — On a day when Democratic presidential candidates sparred in a national debate over who would do more to help indebted students, the U.S. government launched a new attack on student debtors seeking loan relief. On Tuesday, the Education Department intervened in the case of Robert Murphy, an unemployed 65-year-old, who has waged a three-year legal battle to erase his student loans in bankruptcy. Unlike almost every single form of consumer debt, student loans can be erased only in very rare circumstances. Murphy’s case, which is currently being heard in a federal court in Boston, could make things a little easier for certain borrowers. A win for Murphy would relieve him of $246,500 in debt, and could loosen the standard used to determine how desperate someone needs to be to qualify for relief. The court asked the Education Department to weigh in on the matter, and in a document submitted to the court Tuesday, government lawyers urged the federal judges not to cede any ground to borrowers who say they are in dire financial straits. Doing so would imperil “the fiscal stability of the loan program” that has existed for half a century. The Department of Education did not immediately respond to requests for comment. “That is part of the bargain that parents strike when they take out loans later in their work life,” the lawyers added. Murphy took our several loans to send his three children to college, but lost his job at a manufacturing company in 2002, and has not been able to find work since. The Education Department is seasoned at waging this particular battle. For over a decade, the Department, through its lawyers, has pushed the courts to adopt the harshest standards possible when considering pleas from bankrupt students. 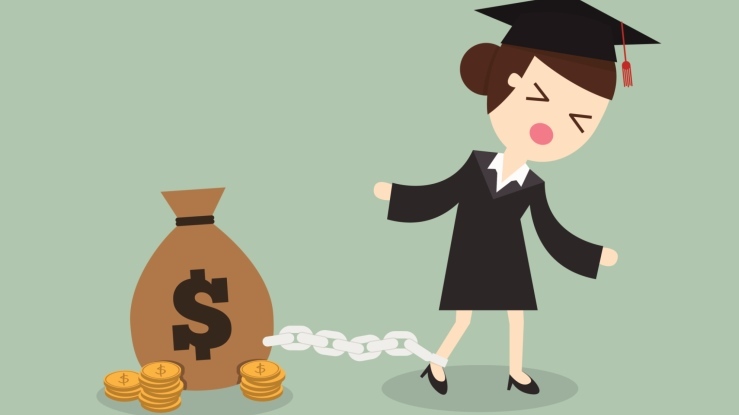 “The general purpose of the Bankruptcy Code to give honest debtors a fresh start does not automatically apply to student loan debtors,” the government’s lawyers wrote. Lawmakers have never defined undue hardship, though, so courts have tried to work out exactly how poor Americans need to be, and for how long, in order to qualify for student loan forgiveness. The government argued that such scrutiny of a borrower’s financial life is crucial for “protecting the solvency of the student loan program.” Consumer advocates say the Education Department’s fears are exaggerated, because most of debt that could be discharged in bankruptcy is not collectable because bankrupt borrowers can’t pay it back. Murphy calculated that even if he were to find a job paying $50,000 per year and work until he turned 77, his student debt would still balloon to $500,000.